Francesco Cirelli had just graduated from Business School in 2003 when he began to feel a deep need to simplify his life. He started dreaming about working the land and eventually purchased some farmland in Abruzzo near the Adriatic Sea. 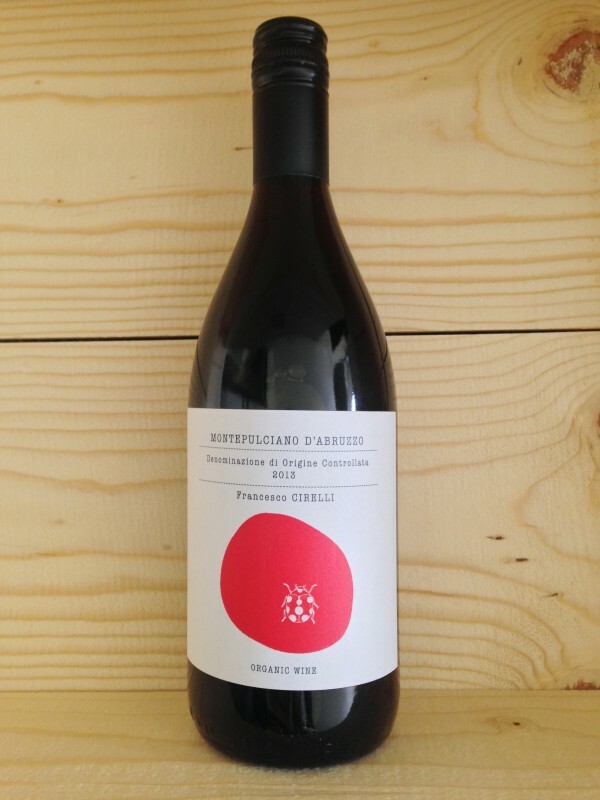 Cirelli proclaims that “[wine is] an existential declaration, a magic potion for joy and communion.” His 2013 Montepulciano d’Abruzzo is lively and juicy, fresh and herbal, reminiscent of fresh cherries and blackberries. A solid wine that is hugely enjoyable, it can be drunk slightly chilled on its own, or pairs nicely with any tomato-based soups or sauces. Abruzzo is known for its handmade noodles, and a classic pairing is ‘Guitar Pasta,’ thick noodles cut by strings, with spicy tomato sauce.